The boys’ dad is Christie’s fiancé Daniel White. 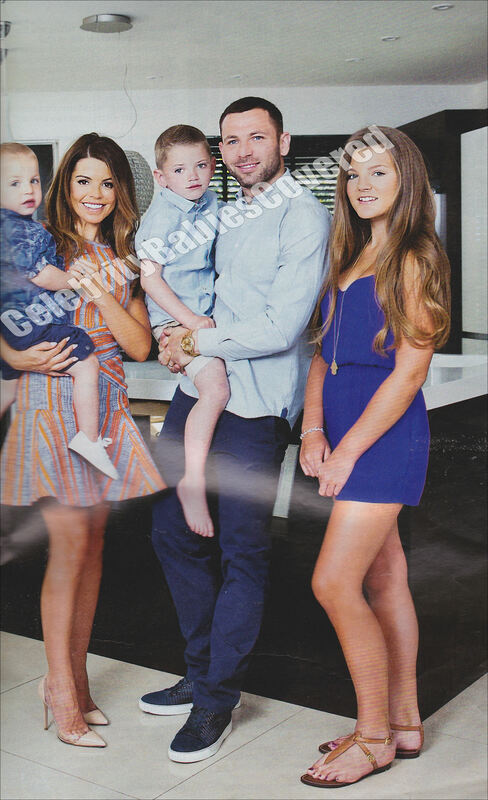 The Real Housewives of Cheshire‘s Tanya Bardsley and her footballer husband Phil feature in a recent issue of OK! magazine and spoke a little about life at home with their three children Gabriella, 13, Rocco, 6, and Renz, 2. Elle magazine Australia has come under fire from critics for playing down the June issue which features model Nicole Trunfio breastfeeding her son Zion Rain, 4 months. However, it’s not the fact that she’s breastfeeding that’s caused the uproar — it’s that the cover in question is only available for subscribers of the magazine. In all store copies the supermodel is on the front cover in a different shot holding her little boy. Critics say having two separate issues and not making the one showing her breastfeeding exclusively available for everyone to buy is sending out a completely negative attitude towards something that’s so natural. Many readers have also commented via Elle‘s Facebook page expressing their disgust about the issue not being readily available. However, Editor-In-Chief of Elle, Justine Cullen says that that particular shot wasn’t actually planned and was just a bonus picture for loyal subscribers. Singer Samantha Mumba appears in a recent issue of Hello! Magazine and introduces her beautiful baby daughter Sage Tamanya Anne, 10 weeks, while at home in Los Angeles with husband Torray Scales. Sage was born on Tuesday, March 3rd 2015 at 6:45pm and weighed 7lbs 9oz. Natalie Pinkham and husband Owain Walbyoff feature in a recent issue of Hello! magazine and introduce their beautiful baby boy Wilfred “Wilf” Otto, 3 months. Howver, unlike the usual introductions — Natalie’s story focuses mostly on the horrendous birth she had while delivering her son back in January. Until recently the star has been too scared to speak out about what unfolded. However, it was only whilst speaking to a professional, who suggested it may help her come to terms with what happened has she decided to tell her story. She hopes that by opening up about her ordeal it may help others who are or have gone through something similar. 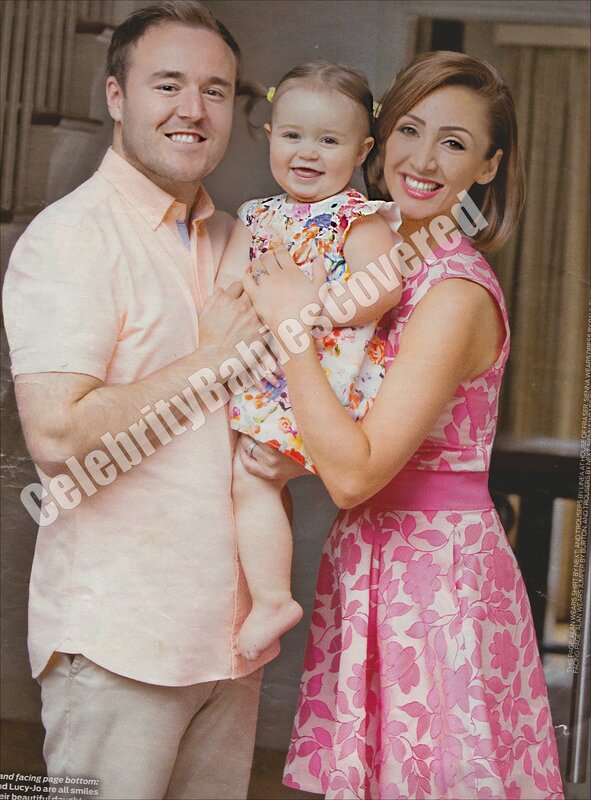 Alan Halsall and Wife Lucy-Jo Talk About Life With Daughter Sienna in OK! TV presenter and actress Amanda Holden appears in the June issues of Good Housekeeping magazine and has revealed that she’s “not allowed” to have another child – even if she wanted to. Already mum to daughters Alexa Louise Florence, 9 and Hollie Rose, 3, with husband Chris Hughes, the star has often spoken about her complicated pregnancies – including the stillborn birth of her son Theo in 2011 when she was 7 months along. “I would be dead the next time. And I think Chris would say you can have them but you’re not having them with me. Ben Richards and Kirsty Duffy Introduce Daughter Freja Amelie In Hello! Actor Ben Richards and girlfriend Kirsty Duffy introduce their beautiful 4 week old baby girl Freja Amelie in a recent issue of Hello! Magazine. Little Freja was born on Tuesday, March 31st 2015 at Lister Hospital in Hertfordshire and weighed 9lbs 6oz. Becoming a dad was especially poignant for Ben as he’d resided himself to the fact that he probably wouldn’t be able to have children due to previously being diagnosed with bowel cancer. The 43-year old has also spoken publicly about having lost a total of seven babies – including two sets of twins – due to a rare genetic condition that he and his ex wife Helen were carriers for. Terri Seymor and Clark Mallon Introduce Daughter Coco in Hello! Presenter Terri Seymour and her model boyfriend Clark Mallon introduce their adorable 6 week old daughter Coco Seymour Mallon in the latest edition of Hello! magazine UK. Little Coco was born at Ceders-Sinai hospital in Los Angeles at 3pm on March 9th 2015 and weighed 9lbs. Inside the pair talk about their now life as a family, Coco’s birth, choosing her name and the array of present received. Kimberly Stewart – daughter of Rod Stewart – introduces her gorgeous baby daughter Delilah Genoveva in a recent issue of Hello! Magazine. Little Delilah was born on August 22nd and weighed 8lbs 10oz. Actress Kirstin Davis introduced her gorgeous baby daughter Gemma Rose in a recent issue of Hello! Magazine. During the interview she talked about deciding to adopt, choosing Gemma’s name and what life is like as a mum. Jodie Kidd and boyfriend Andrea Vianini appeared in a recent issue of Hello! Magazine to introduce their gorgeous son Indio who was born via emergency caesarean section 2 weeks earlier than planned and weighing 7lbs 10oz on September 5th 2011. Singer Rachel Stevens and husband Alex Bourne introduce their gorgeous baby daughter Amelie, 8 weeks, in the recent issue of OK! magazine. 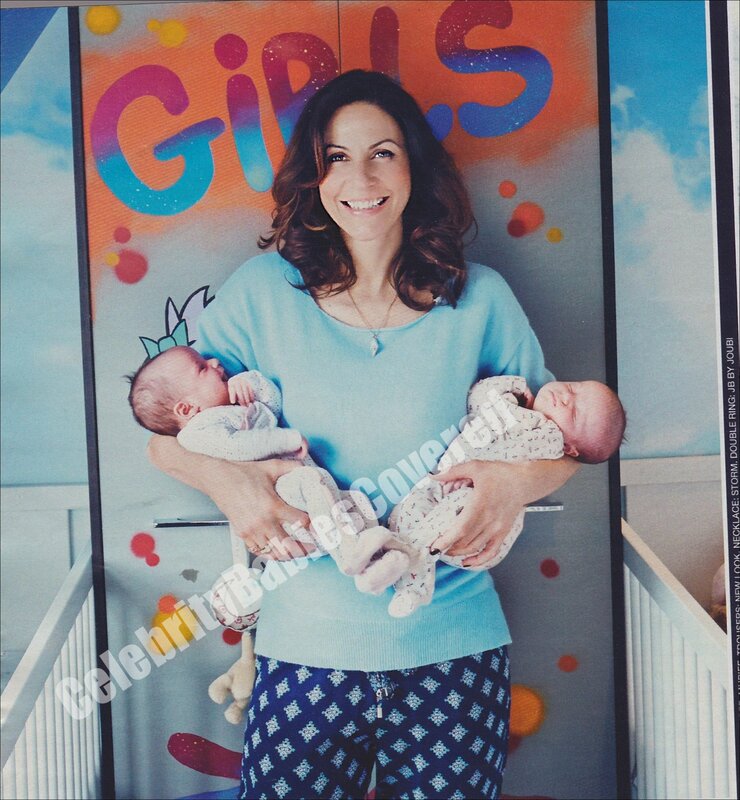 Inside they both talk about Rachel’s labour, picking Amelie’s name and what life is like as a family of three.